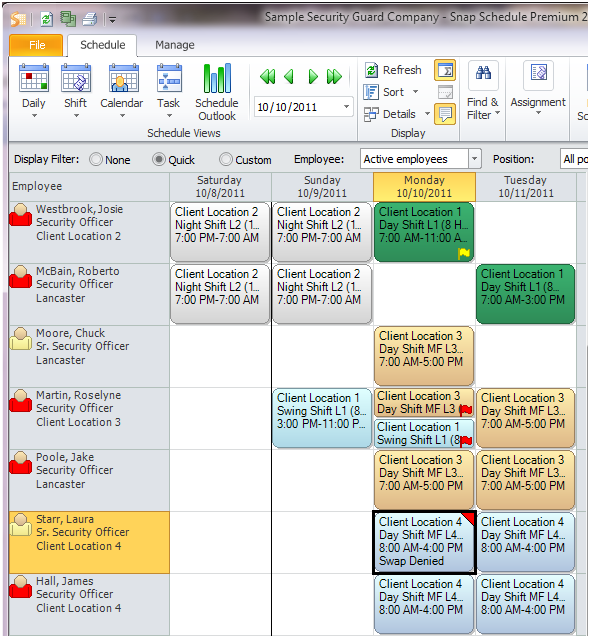 Snap Schedule supports shift swapping – the ability for employees to trade shifts with each other as needed. Shift swapping needs to be closely monitored and approved to ensure fairness among all employees and prevent abuses (see http://articles.boston.com/2011-01-30/news/29347703_1_shifts-boston-firefighters-three-firefighters). This article will explain how to set up an approval process for handling employees that wish to swap shifts. This involves creating a couple of new shift assignment reasons to accomplish this. 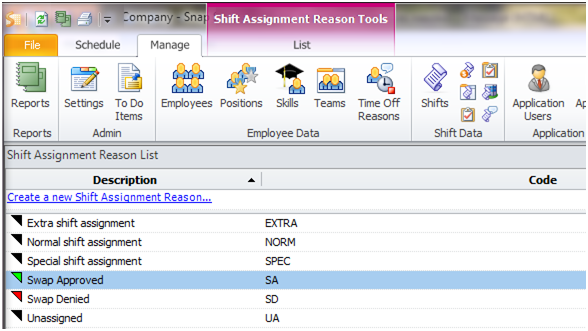 First, under the Manage tab select the Shift Assignment Reasons button and click the Create a new Shift Assignment Reason link. You’ll create two new assignment reasons named “Swap Approved” and “Swap Denied”. 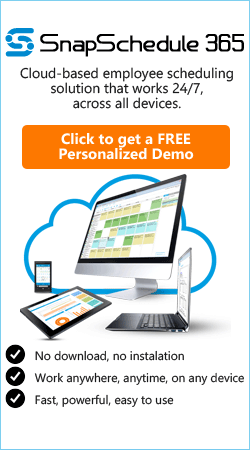 Employees could notify the scheduler of a shift swap request using any of the company approved methods, such as by email, phone, paper form, etc. 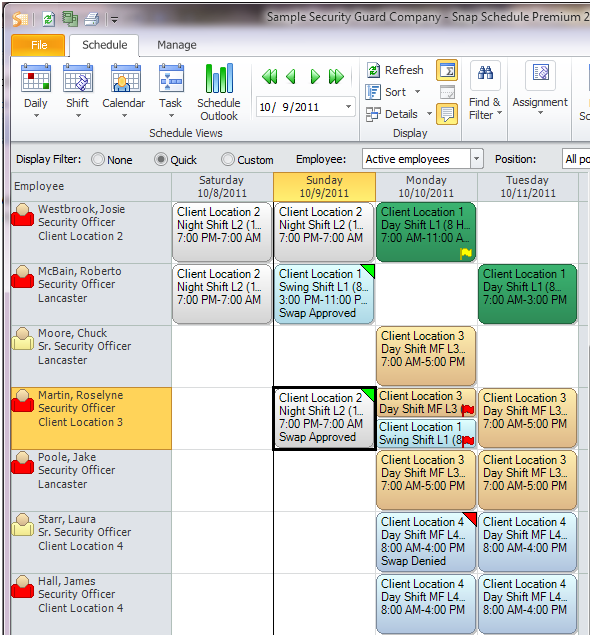 Once the request has been received, the scheduler can then use Snap Schedule employee data and past shift swapping patterns to determine whether to approve the swap. A best practice would be to open the Shift Assignments by Employee report and filter by Assignment Reason “Swap Approved” or “Swap Denied”. It is then possible to determine if an employee might be abusing this process when looking at their past history. If you choose to approve the shift swap, delete each employee’s original shift and assign the shift that they will now work instead. 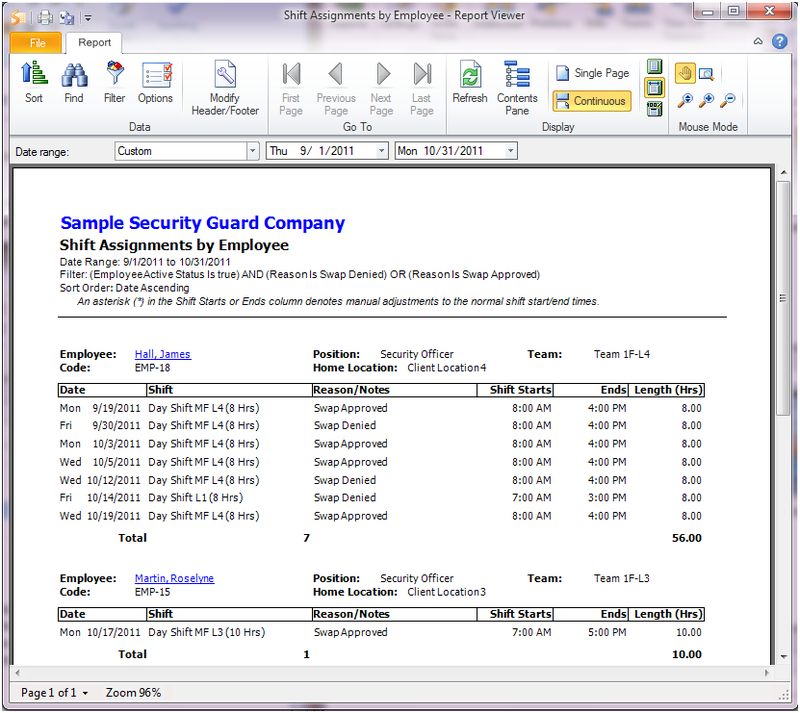 On both shifts, right click on the shift and set the assignment reason as “Swap Approved”. After either approving or denying the swap, it is a good practice to email the schedules out to the employees involved so that they can see the outcome of the scheduler’s decision. One could also use other methods to communicate this information such as by phone, a printed report, etc. You’ll now have an effective approval process established to make informed decisions when handling employee shift swap requests.